Feline panleukopenia is caused by the highly contagious feline parvovirus. Young kittens, sick cats, unvaccinated cats and pregnant cats are most susceptible to catching this disease. Feline parvovirus is present everywhere, is resistant to most cleaning agents and can survive over a year in the environment. The virus is caught through contact with blood, urine, faeces, and nasal secretions from an infected cat and even through fleas. The virus attacks rapidly growing and dividing cells such as the intestines, bone marrow and stem cells of a developing feotus. The most common signs of infection are vomiting, diarrhoea which may have blood, severe dehydration, high fever, loss of appetite and anaemia. Kittens born to infected cats may have neurological symptoms also. Although several viruses and bacteria can cause cat flu, two common cat flu viruses are calicivirus and herpesvirus. Cats become infected through direct contact with discharge from infected cat's eyes, nose or mouth, and through sharing food and water bowls. Cat flu typically causes sneezing, congestion, runny eyes, nasal discharge and fever. Herpesvirus infection can also cause eye ulcers, and calicivirus infection can also cause mouth ulcers, arthritis, pneumonia and bleeding. 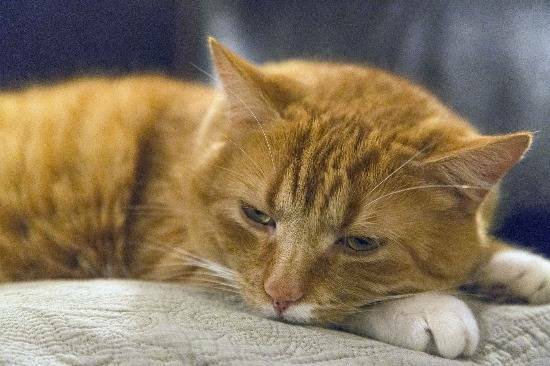 Cats infected with herpesvirus will become carriers of the virus meaning they can pass the virus on to another cat all through their lives and develop recurrence of flu. FIV or feline AIDs is caused by feline immunodeficiency virus. The virus is mainly passed through bite wounds, although mother cats can pass the virus to their kittens. Outdoor, male, undesexed cats are most at risk of catching the virus due to their tendency to fight.